Home›Features›Two Doors Albums WITHOUT Jim Morrison? Yeah, that Actually Happened. 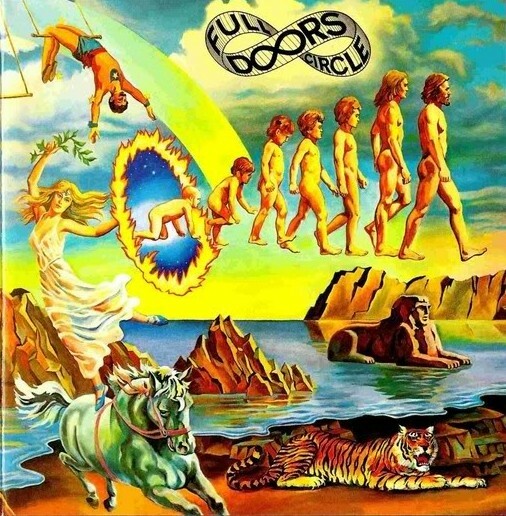 Other Voices and Full Circle are the two albums released by the Doors following Jim Morrison’s death, widely forgotten and rarely mentioned by fans or the band members themselves. 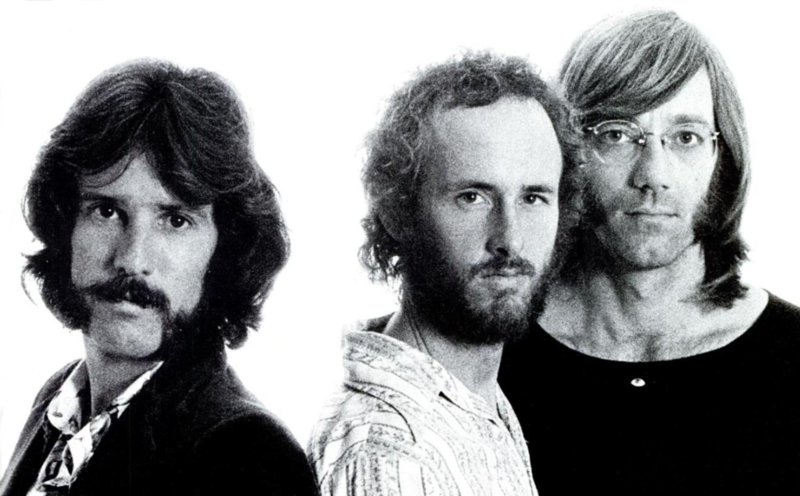 In the late 1960s and early 1970s, the Doors were one of the most popular bands in the world. Despite just a short tenure with lead vocalist Jim Morrison prior to his death in July of 1971, in a few short years the quartet changed the world of music forever, releasing six classic studio albums that have stood the test of time and then some. Morrison’s death at age 27 is largely regarded as one of the rock and roll world’s great tragedies. Contrary to popular belief, the Doors did NOT disband when Jim Morrison died. 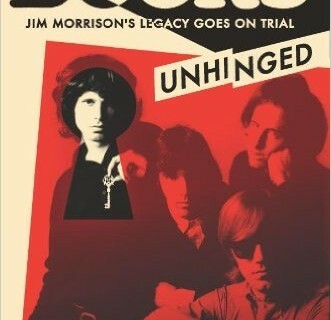 In fact, the surviving trio of guitarist Robby Krieger, keyboardist Ray Manzarek, and drummer John Densmore recorded an additional two studio albums following Morrison’s passing, which are widely and largely forgotten, and generally not even acknowledged by the surviving band members themselves. These two releases are the last “true” Doors albums; the band would disband in 1973, just a few months after the release of Full Circle, with Densmore and Krieger going on to form the short lived Butts Band, which only recorded a pair of albums with widely varied lineups. The surviving trio of Doors members reunited once again in the latter half of the 70s to record and compile American Prayer, a spoken word collection of Morrison’s poetry with newly recorded instrumentation by the band. There is a good possibility you did not even know that these albums existed until reading this review. But of course, there is the question that is on everyone’s mind. Are these albums lost classics that belong in every Doors collection? Or are they duds that we would be best off forgetting about? These releases are extremely hard to review, and even still I found myself torn on my feelings towards them. On one hand, you have to give the band credit for not simply copying and mimicking the Jim Morrison days with these releases; it is highly unlikely anything on these albums would ever be mistaken for something from the band’s heyday. Yet, on the other end of the spectrum, the releases never rise to the heights of those earlier albums, and at times the songs are cringe worthy and start to feel like self-parody. It is also interesting to note that the band opted to continue as a three piece, not hiring a replacement vocalist to fill Morrison’s void. Ray Manzarek and Robby Krieger instead juggle the vocals, often with mixed results. You cannot help but wonder if Morrison’s presence in the band helped them to filter out inferior musical ideas; these albums have a number of tracks that feel like they never would have made it past the outtakes phase with the Lizard King in command. Without Morrison can you even truly call these “Doors albums?” That has remained the subject of debate for decades now, amongst people that actually know these records exist. 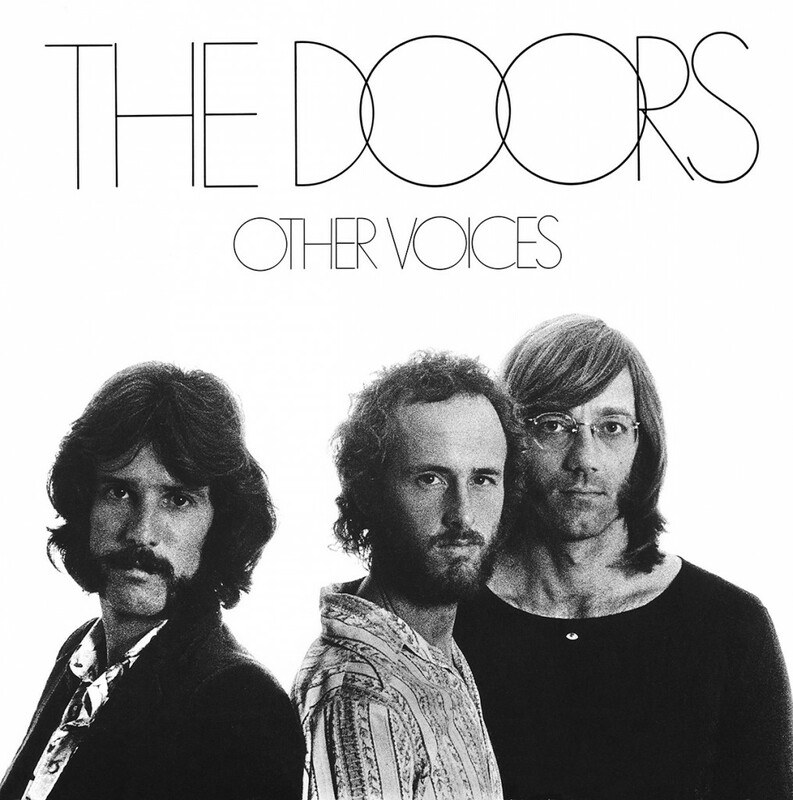 Other Voices was released in October 1971, just a few months after Morrison's final album with the group, LA Woman. 1971’s Other Voices is the first of the two records, and despite having a few highlights here and there, hinting at what could have been a greater album, it just never manages to rise to the heights of the band’s earlier Morrison-era work. The keyboard-laden In the Eye of the Sun kicks things off, and this sounds like it could have been a classic Doors song had Morrison been on lead vocals; the other members of the band just cannot fill that vocal void here sadly. Variety is the Spice of Life is a laughably bad song about adultery that sounds like it has more than a little influence from Randy Newman. The true surprise on this album is Ships w/ Sails, a largely instrumental, nearly eight minute jazzy jam session that is one of the few tracks to actually ascend to the heights of the band’s earlier work. Tightrope Ride is a straightforward bluesy rocker, which while not bad, feels horribly unoriginal and not like a Doors song at all; I could picture the Rolling Stones recording this one. Down on the Farm is one of the better songs on the record, slower and organ-driven, this one feels almost like it has a Grateful Dead influence in places. I’m Horny I’m Stoned is as laughable as you would expect, with some cringe-inducing lyrics that leave it sounding more like a parody or a novelty song. Watering Musician is carried by Ray Manzarek’s piano playing, and at a brief length it could have left a solid impact on the record. Instead it drags on nearly twice as long as is needed and much of the potential is lost. Hang on to Your Life starts slowly and innocently enough, but erupts into a full-on wild jam near the end, making for a rather interesting way of finishing off this record. Full Circle was the eighth studio release by the band, prior to disbanding. It was released in August of 1972. The second of these two “forgotten” Doors records is 1972’s Full Circle. This is a more diverse record that tends to cover more musical ground than its predecessor, though it does not necessarily rise to greater heights, and is still not the equal of the Morrison glory days. Throughout the course of the album, the band gets more musically experimental, bringing in more instruments and guest players for a fuller sound, for better for worse. It is definitely the most “70s-ish” of all Doors releases. At times it feels a little too experimental and modern (to the time of release) for its own good. Naturally, there are some duds here that do not exactly do the album any favors; the overlong closer the Peking King and the New York Queen had potential but there are laughably bad lyrics and dialogue snippets that derail it. One of the biggest complaints about the record is that it just does not feel like a Doors album. That said, there are still some decent cuts; the Mosquito is actually a fantastic jam session which proved to the band’s last song to chart, though I could do without the goofy fake Mexican accent vocals at the beginning of it all. It Slipped My Mind is a solid enough track that ranks amongst the better ones featured here. 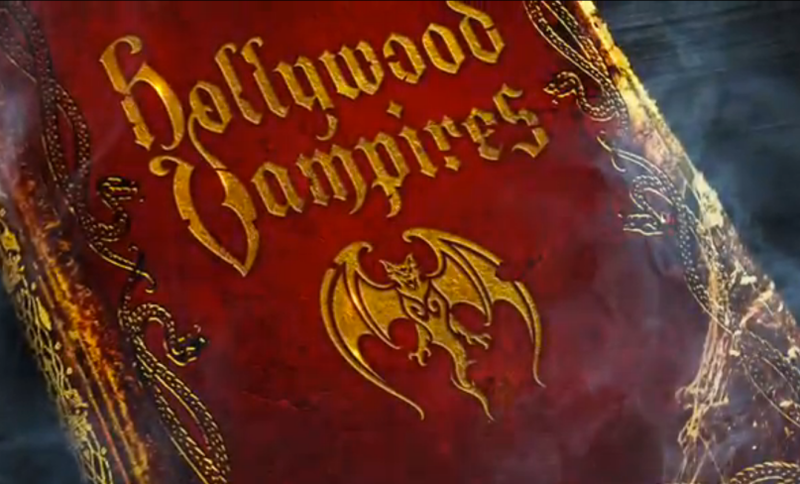 Like the previous album, there are highlights, but not exactly anything that takes the record to “classic” territory. The Doors in 1971, following Jim Morrison's death. Of course, the question on your mind now is, are these two albums worth owning? For most people, the answer is no; there just is not enough here to take the albums to the status of the earlier Morrison works, and chances are the good majority of these people would prefer if these “lost albums” had stayed lost. That said, there ARE a few decent cuts and quality moments to be had here, so for the curious, they are worth streaming or listening to at least once. Just do not come in expecting “lost classics.” Recommended listening for fans and the curious, but no one else. Unfortunately, you are in a very small minority there. I actually enjoyed their first album. Once I resigned myself to the fact that Jim was not going to be on it, I thought there was a great combination of really nice tune crafting, and then some just fun songs. You have to quit trying to hear Jim’s voice, and realize that aspect of the band is totally different, as well as the lyrics. These 3 are excellent musicians, and I think they did themselves well. Jim’s just a hard act to follow. Being a “true” Doors fan I can’t help but feel the Doors are Jim Morrison, Ray Manzaric, Robbie Krieger, and John Densmore. I do have tremendous respect for the fact that the 3 surviving members attempted to continue as a 3 piece band. Had they brought in a new singer it may have really caused a major blemish on what is an amazing six album American success story. Best to listen to the six original records and enjoy the unity of Jim, Ray, Robbie, and John. I cannot fault the remaining 3 members for trying. I mean Jim died at age 27. The remaining guys were so young and had so much more to offer. Sadly it just wasn’t the Doors without Jim Morrison. Nice try though.